Latin boy band CNCO has won the hearts of countless fans around the world and they’ll only continue to do so in the new year. 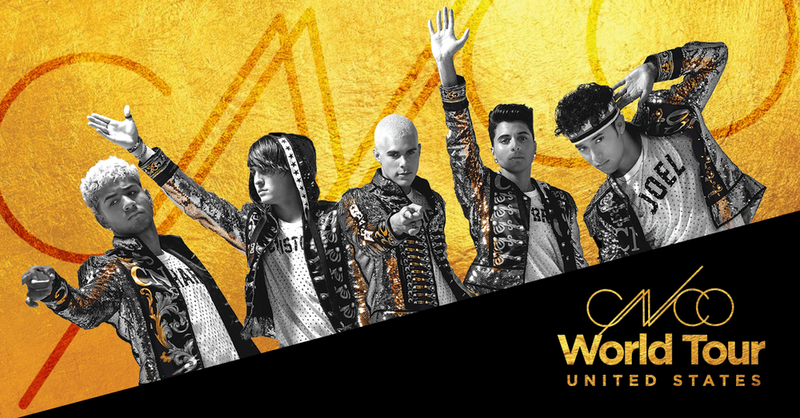 In 2019 CNCO will embark on their first US headlining tour as part of their CNCO World Tour. Kicking off on January 24 at Hidalgo Arena in McAllen, TX and ending on March 2 at House of Blues in Orlando, FL, the US leg of the tour will include 11 dates and will take the band to the most legendary venues in the country. The tour will come along with a pre-sale special for fans in collaboration with Spotify from September 19-September 21. Tickets go on sale to the public on September 21 at 10 AM EST/PST. Check out the list of US tour dates below.